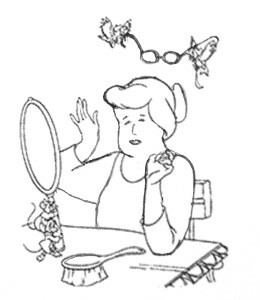 The only coloring books I had as a kid were of Cinderella. When I heard that six of the 20 top-selling books on Amazon are adult coloring books, I thought they were updates of Cinderella these many years later. You know, pictures of Cinderella with bunions on the feet that used to wear the glass slippers. Pictures of Cinderella with gray hair and an extra 20 pounds. 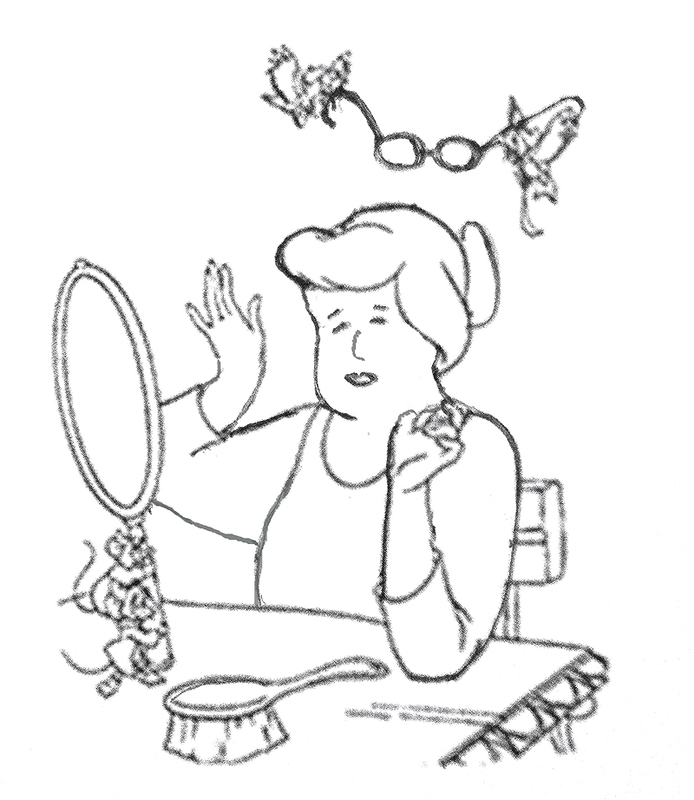 Pictures of Cinderella and and the Prince with little birds helping find their reading glasses. Wrong on all counts. Coloring books for adults are coloring pages with intricate patterns, garden, animal and nature themes. Others feature cities, architecture, Harry Potter and swear words. Yep, you read that right. The adult coloring book craze is touted as a wonderful way to relax, although if you’re coloring swear words (may I suggest red?) you might be better off in an anger management class. Libraries are falling all over themselves hosting adult coloring nights. They are strictly BYOCP: Bring Your Own Colored Pencils. Despite the popularity of the craze, there is something slightly jarring about it. If my doctor colors, I don’t want to know about it. For some reason, I’d be more understanding if our accountant colored. Maybe it’s because of the stress of working with numbers and the government, and the fact that he’s at a desk most of the day anyway. Now if our insurance guy unpacks his laptop and I see a coloring book in his bag, we’re finished. When our kids were growing up, I felt the same way about coloring books that I did about Barbies. I wasn’t likely to buy them, but if someone else did, that was fine. Our kids had Anti-coloring Books. They were coloring books with a sentence or two on each page that gave kids ideas of what to draw and then they colored their own pictures. They say that kind of thing is too stressful for adults today. Adults need to have guidance and structure—pictures with lines. And someone to cap their washable markers. That’s not true; I made that last one up. We’re all looking for ways to reduce stress today. We work at relaxing so hard that it has become a major source of stress. Last week I was talking to a woman whose eyes were darting back and forth as she pondered out loud whether she’d have time to work in a massage that day. Her schedule was full, but give that woman a crow bar and she’d find a way to crack it open and really relax. A study on cardiovascular patients, from a team of doctors in Italy and the UK, examined the relationship between stress and music with different tempos. The conclusion was that slow and relaxing music decreased blood pressure and heart rate. They also concluded something else—people’s bodies relaxed even more during the pause between the tracks of music.